An Uncommon Visitor: Calliope Hummingbird /Hawks Aloft Inc. The smallest bird in North America (north of Mexico) is the diminutive Calliope Hummingbird. It is the smallest long-distance avian migrant in the world, spending its winters in Mexico and breeding as far north as Canada and southern Alaska. 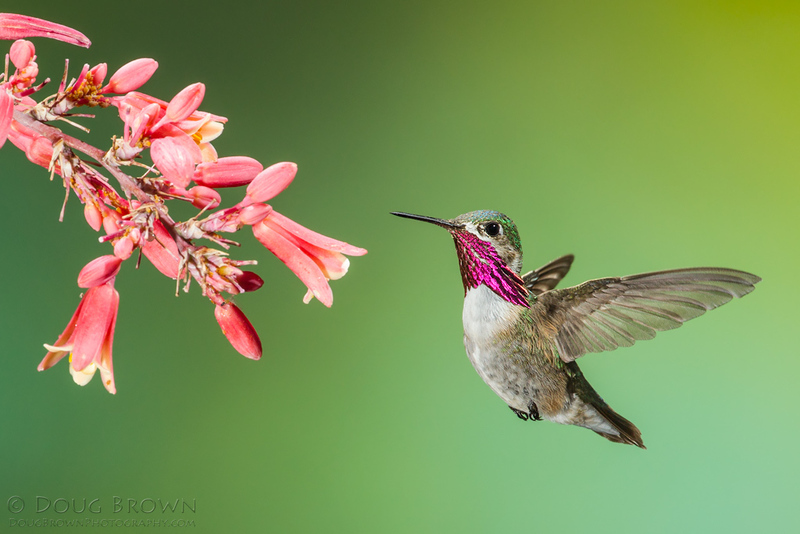 At 3.5″ long and a wingspan of 4.3″, they weigh about 2-3 grams, or 1/10 of an ounce! They can be found in mountain areas of the northwestern United States. Right now (early August), they are migrating through the Rocky Mountains and are as far south as central New Mexico on their way to their wintering grounds. Watch carefully at your feeders! At first glance, they appear to be miniature hummingbirds compared to the common Black-chinned and Broad-tailed. Males also sport a magenta gorgette with distinctive trailing feathers that reach their shoulders.